DYEING TO KNOW YOU THE ART OF PAINTING North America FIS Technical Delegate Update Fall 2009. 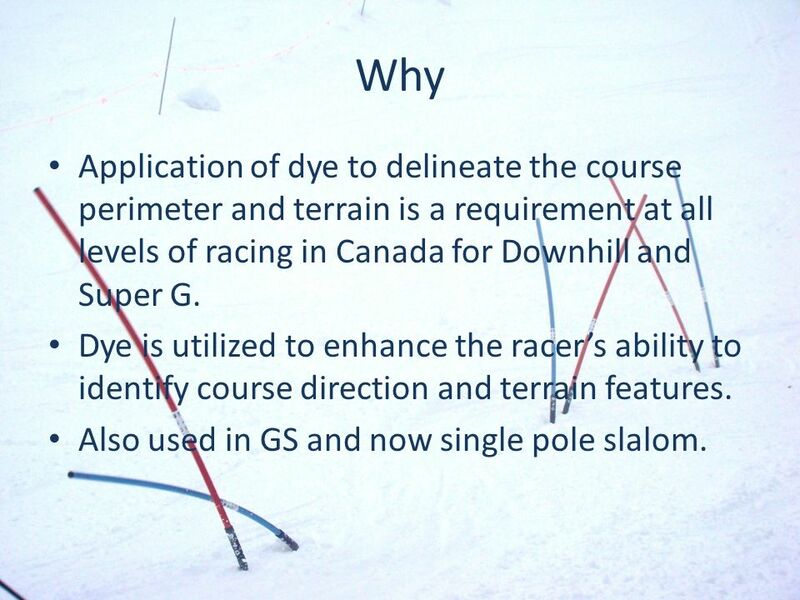 4 Why Application of dye to delineate the course perimeter and terrain is a requirement at all levels of racing in Canada for Downhill and Super G. Dye is utilized to enhance the racers ability to identify course direction and terrain features. 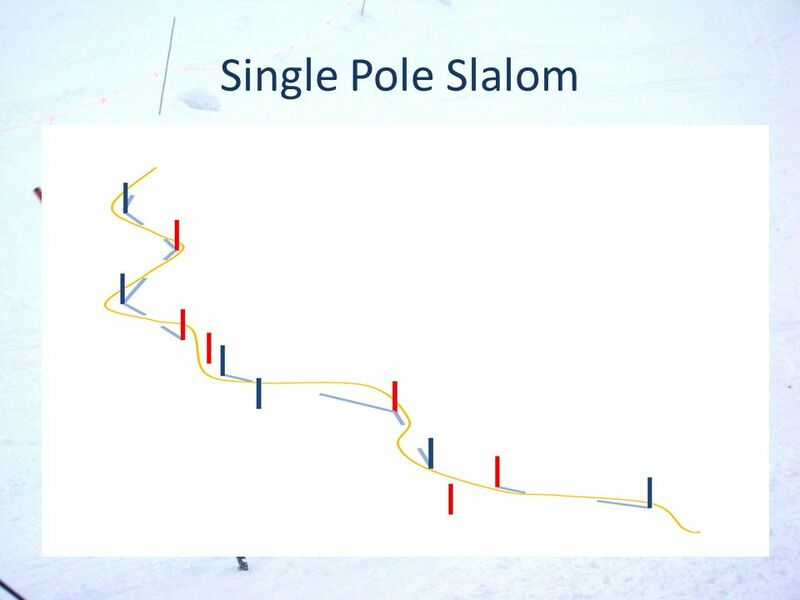 Also used in GS and now single pole slalom. 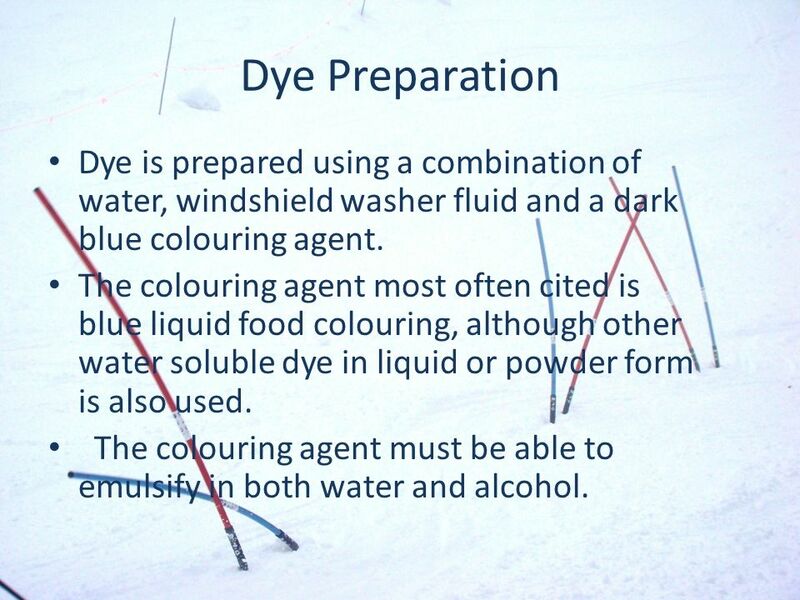 5 Dye Preparation Dye is prepared using a combination of water, windshield washer fluid and a dark blue colouring agent. The colouring agent most often cited is blue liquid food colouring, although other water soluble dye in liquid or powder form is also used. The colouring agent must be able to emulsify in both water and alcohol. 6 Formula A base mixture of water and glycol is used. 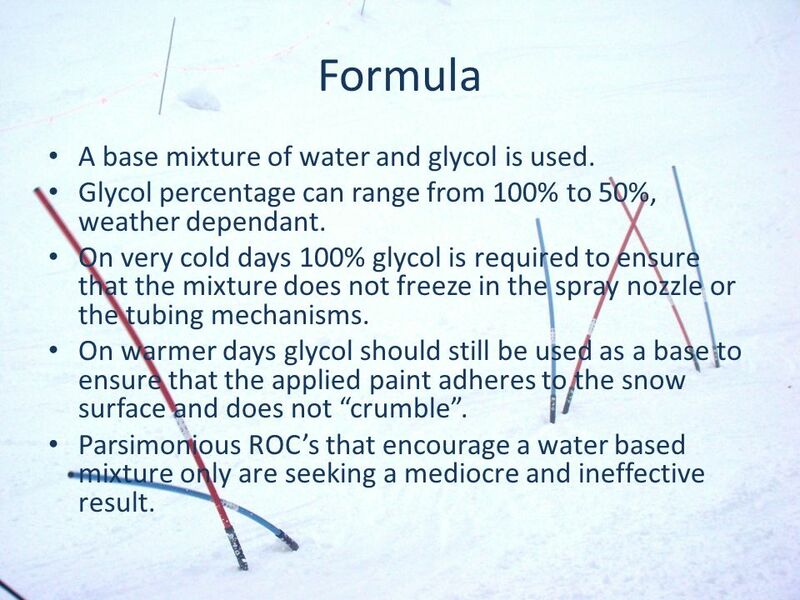 Glycol percentage can range from 100% to 50%, weather dependant. On very cold days 100% glycol is required to ensure that the mixture does not freeze in the spray nozzle or the tubing mechanisms. On warmer days glycol should still be used as a base to ensure that the applied paint adheres to the snow surface and does not crumble. Parsimonious ROCs that encourage a water based mixture only are seeking a mediocre and ineffective result. 7 Mixture Industrial dye packs hold 12 – 15 liters of fluid. The full pack weighs close to 25Kg. 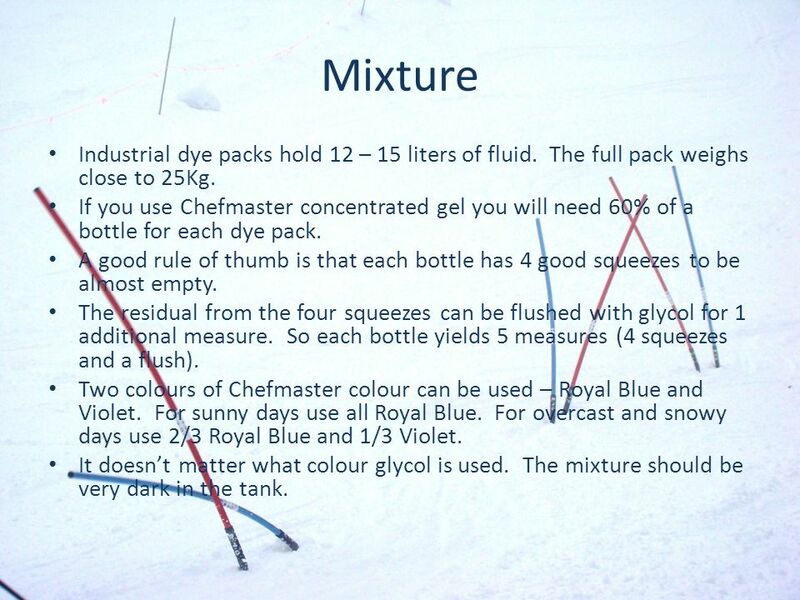 If you use Chefmaster concentrated gel you will need 60% of a bottle for each dye pack. A good rule of thumb is that each bottle has 4 good squeezes to be almost empty. The residual from the four squeezes can be flushed with glycol for 1 additional measure. So each bottle yields 5 measures (4 squeezes and a flush). Two colours of Chefmaster colour can be used – Royal Blue and Violet. 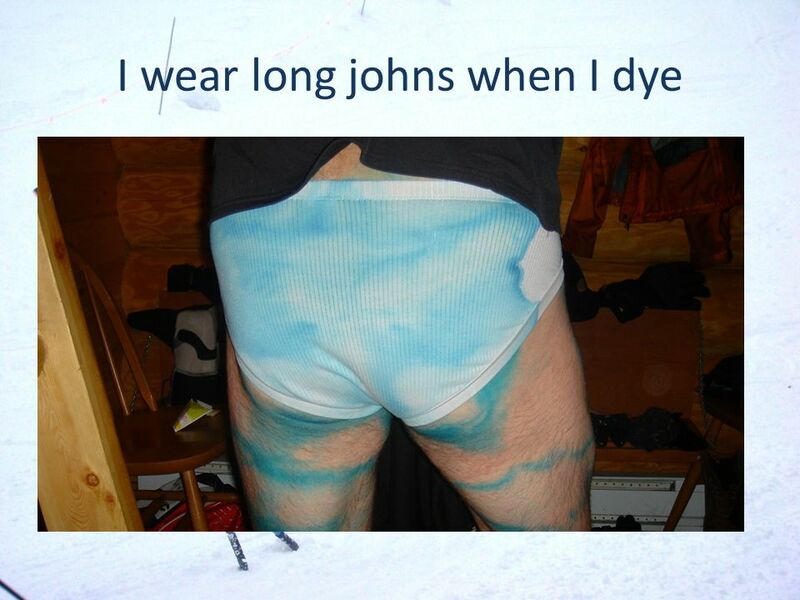 For sunny days use all Royal Blue. For overcast and snowy days use 2/3 Royal Blue and 1/3 Violet. It doesnt matter what colour glycol is used. The mixture should be very dark in the tank. 9 When to Apply Pre-Inspection Dye is mixed and applied prior to course inspection. 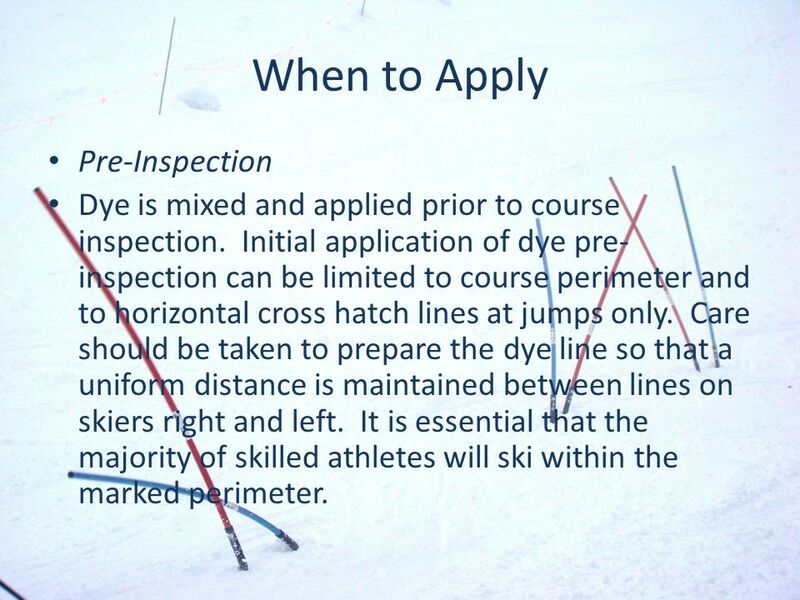 Initial application of dye pre- inspection can be limited to course perimeter and to horizontal cross hatch lines at jumps only. 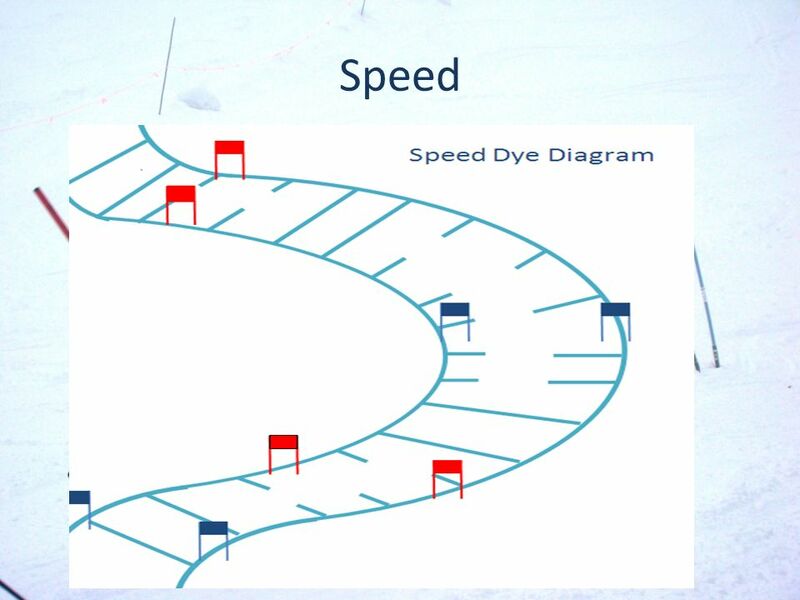 Care should be taken to prepare the dye line so that a uniform distance is maintained between lines on skiers right and left. 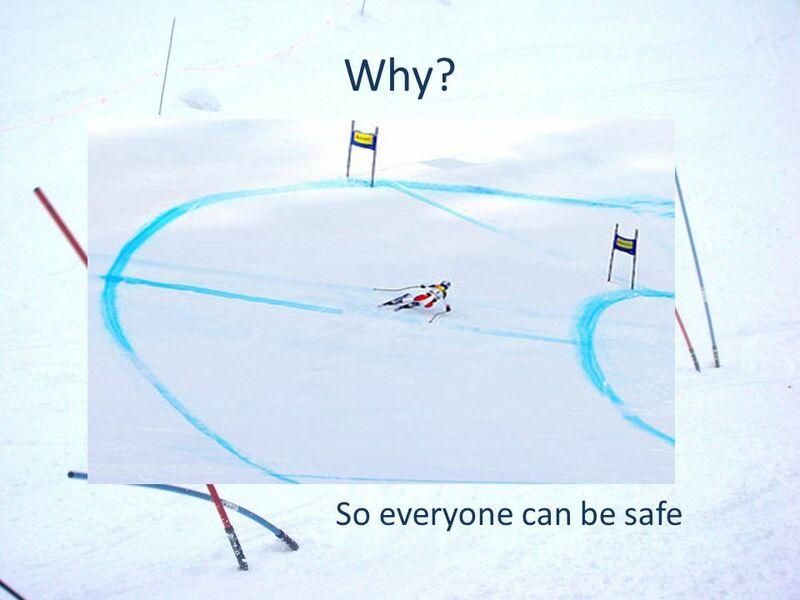 It is essential that the majority of skilled athletes will ski within the marked perimeter. 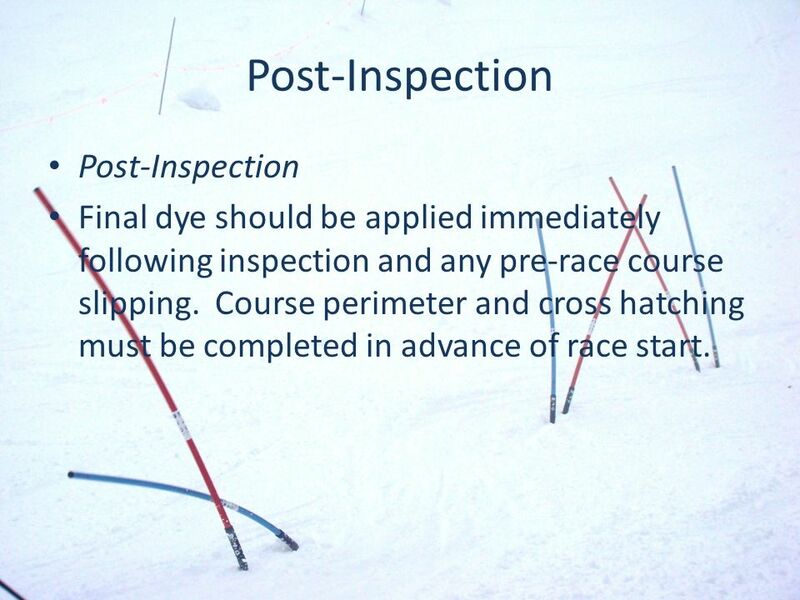 10 Post-Inspection Final dye should be applied immediately following inspection and any pre-race course slipping. Course perimeter and cross hatching must be completed in advance of race start. 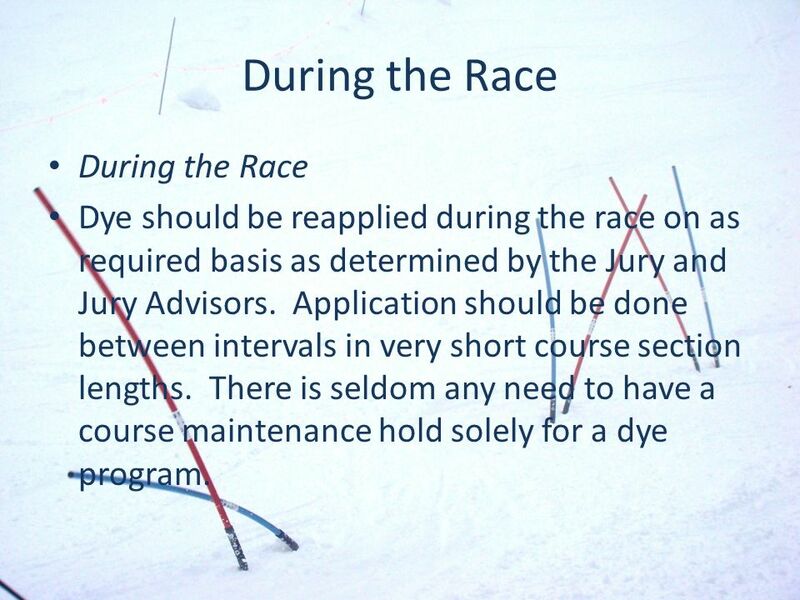 11 During the Race Dye should be reapplied during the race on as required basis as determined by the Jury and Jury Advisors. Application should be done between intervals in very short course section lengths. There is seldom any need to have a course maintenance hold solely for a dye program. 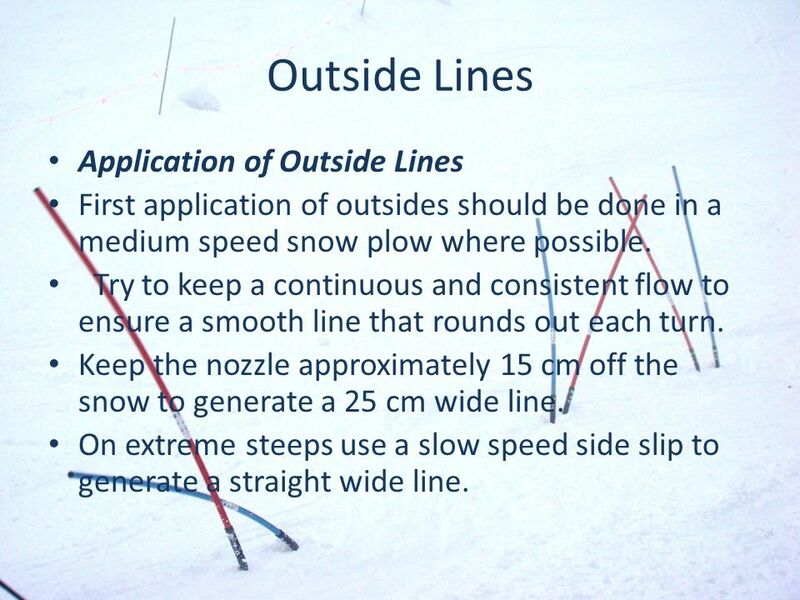 12 Outside Lines Application of Outside Lines First application of outsides should be done in a medium speed snow plow where possible. Try to keep a continuous and consistent flow to ensure a smooth line that rounds out each turn. 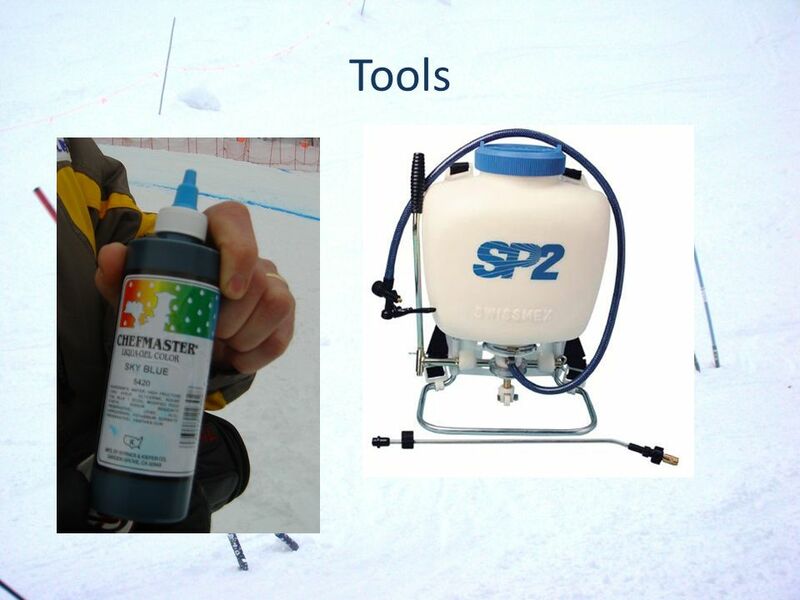 Keep the nozzle approximately 15 cm off the snow to generate a 25 cm wide line. On extreme steeps use a slow speed side slip to generate a straight wide line. 13 Cross Hatches There are three types of cross hatches - partial, full, and double. Partial lines are most common and are used at turning gates from 5 m above the gate to 5 m below. The lines on the turning pole are 1 to 1.5 m in length. The outside gates are longer at 2 – 2.5 meters. 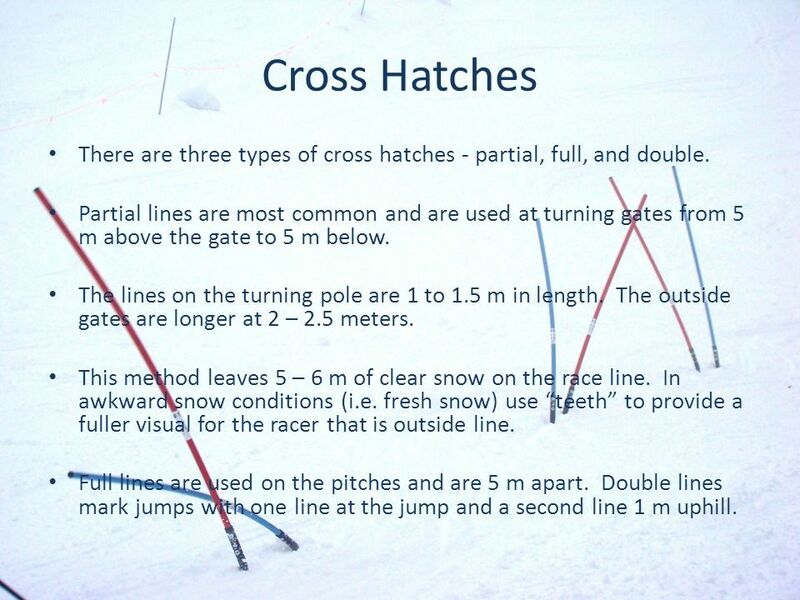 This method leaves 5 – 6 m of clear snow on the race line. In awkward snow conditions (i.e. 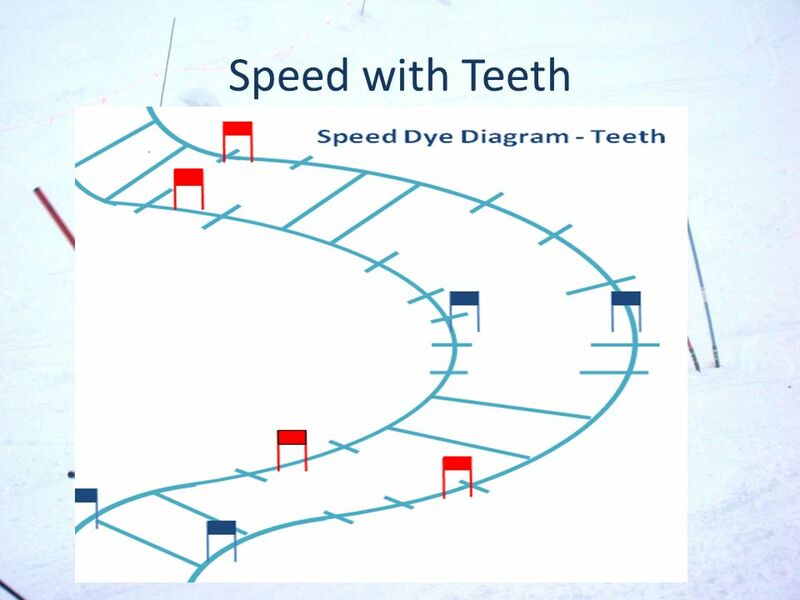 fresh snow) use teeth to provide a fuller visual for the racer that is outside line. Full lines are used on the pitches and are 5 m apart. 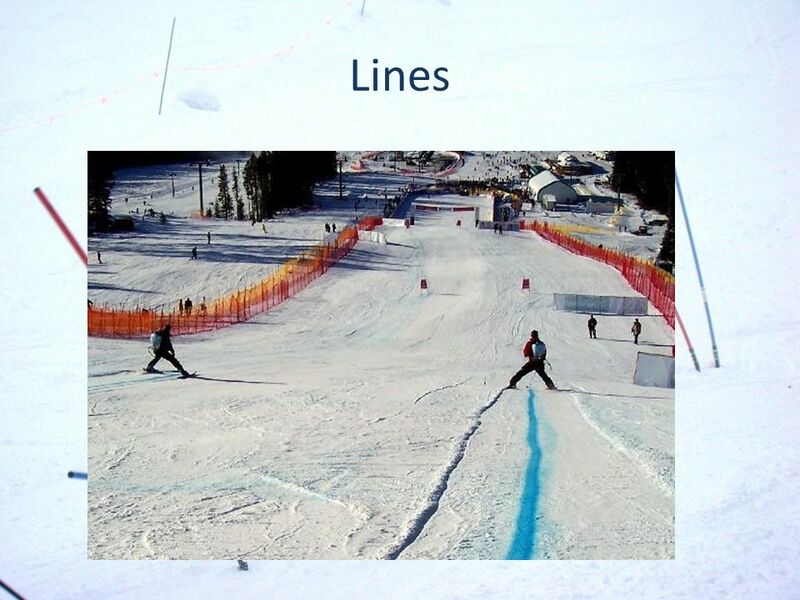 Double lines mark jumps with one line at the jump and a second line 1 m uphill. 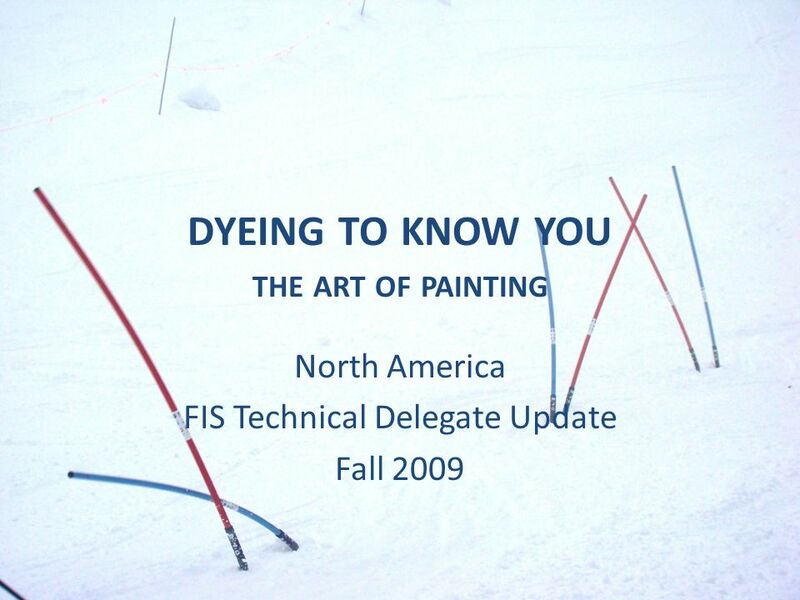 Download ppt "DYEING TO KNOW YOU THE ART OF PAINTING North America FIS Technical Delegate Update Fall 2009." Electro-Chemicals Products For Semiconductor Assembly Industry P4018-ST Molten solder purified-able chemical powder compound (AOP – 22S, a short name of. INCIDENT SITE MANAGEMENT. Incident Site Management The effective and systematic use of all resources to deal with a situation involving a patient All. Skiing Jakub Wares. Skiing A well known and favourite winter sport in Europe and Slovakia A well known and favourite winter sport in Europe and Slovakia. Art 1 Painting Unit Work Place Skills Policy and Procedures Art 1 Painting Unit Work Place Skills Policy and Procedures. 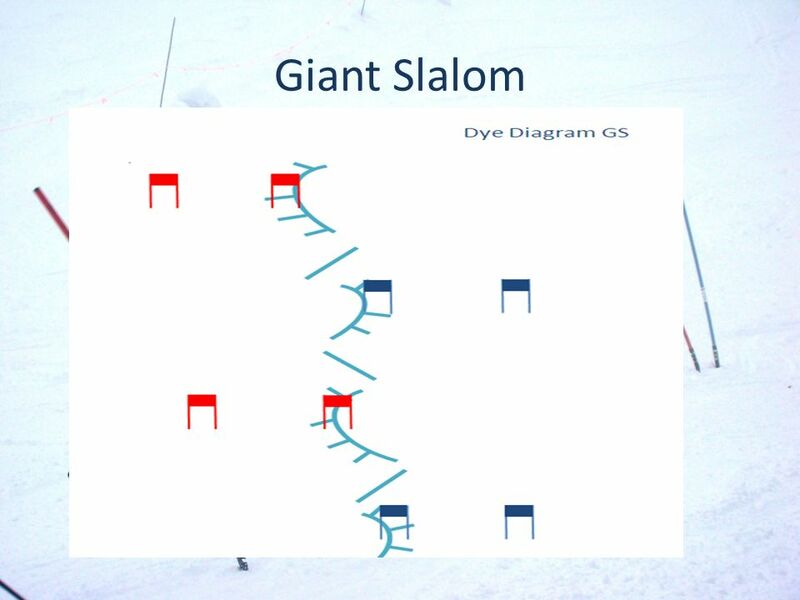 Gate Judge Training Overview Revised Feb First Draft Snowbasin Host Race Schedule RaceMonthDay(s)Event(s)Race Series 1Snowbasin. Copyright - Adam Randall Electrostatics – Practice Problems Problem 1 Problem 1 – Lunar Athletes & Apparent Weight Problem 1 Problem 2 Problem 2 – Electric. M ANITOBA A LPINE H OME OF S KI R ACING ON THE P RAIRIES O FFICIALS U PDATE 2012 / 2013 November 9, 2012. Skiing!!! By: Elana, Lindsey, and Nikki. 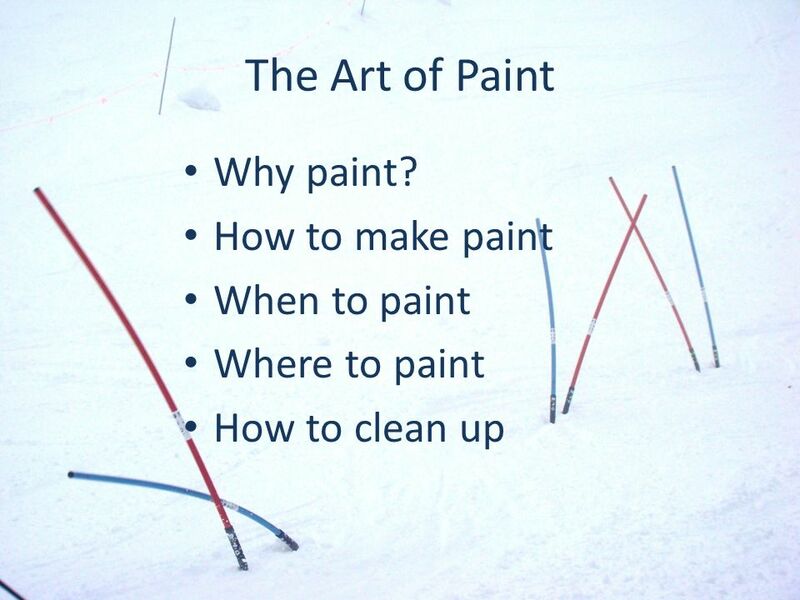 Introduction: Have you ever heard of skiing? Well if you haven't, this is the presentation for you! 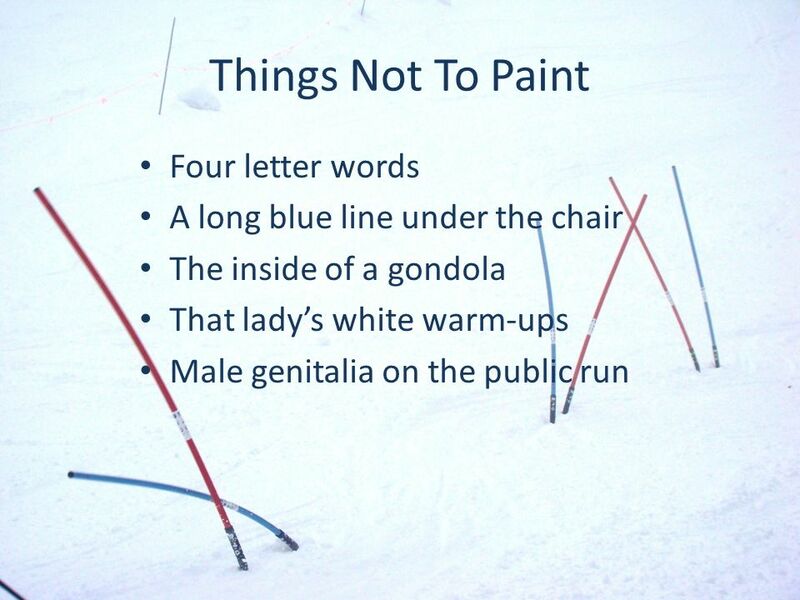 Skiing can. Crotched Mountain Racing. The season will be the 3 rd season of the new Crotched Mountain Race Program The Crotched Mountain Racing program. Cross country has both mental and physical benefits if your heart is in it. People who do not run do not realize how hard cross country practices and.